This is the second in three installments of an in-depth look at the future of design education… the designer as social entrepreneur. Communication Design students graduate from universities across North America annually most of the time well suited to enter into the workforce and compete in the nuanced world of clients and cubicles. (At least, this is how I feel I prepare my students.) However, as we’ve seen quite dramatically over the past three years that when the economy comes crashing down, so does the hopes of many young designers of finding full time studio employment. School prepares fledgling designers to create solid portfolios, articulate their process, and apply for jobs, but not for the world after their diploma and resume fails them. I see this this gap as a flaw in our university design education curriculum – the lack of entrepreneurship. My EDGE (Ethics of a Designer in a Global Economy) course targeted social entrepreneurship as an opportunity to discuss this hole in the students’ education at the University of Illinois. In a previous post I detailed the reasons why social entrepreneurship was a good match for the communication designer and the specifics of the first project from EDGE. This article will focus on the second assignment: Creating the Design Studio of the 21st Century. To aid in this exploration, the class read and discussed “The Responsibility Revolution: How the Next Generation of Businesses Will Win,” by Jeffrey Hollender. It was vital that before the students, who have very limited experience running or working in a studio, propose a better sustainable model, that they all understood how one currently functions. I invited designers from different parts of campus and the community to take part in a forum that formed the foundation for the discussion oh how current studios function and what can be fixed. On top of this, Dawn Hancock (Firebelly Design) Rachael E. Baird (Tilt) and Eric Karjulouto (SmashLab) joined the class in person and over Skype to discuss their studios and brainstorm how they can function more sustainably. I also invited branding expert Tiffany White from the College of Business to lead a conversation about the importance of incorporating your brand values in all your messaging. Not only were all of these discussions eye-opening for my students but also for myself. There were many considerations in creating a more sustainable studio, that even I had never considered. The results of this project were varied and many groups wanted to capitalize on the community first while keeping top of mind that their studio offerings would have to spread nationally to keep economically viable. 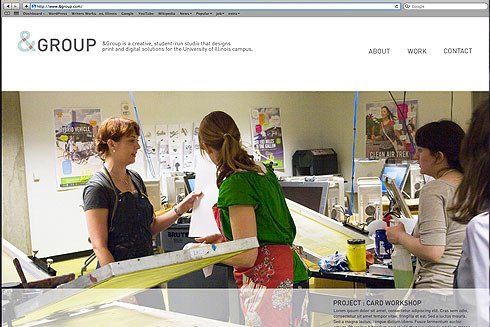 &GROUP is a creative, student-run studio that designs print and digital solutions for the University of Illinois campus. We host an energetic, interactive studio space that begs exploration, encourages creativity and most importantly: focuses on collaboration. Our very name eloquently depicts our commitment to an all-inclusive staff and process that takes a holistic approach to analyzing the needs of and designing responsible solutions for our audience. With the eminent shut down of creative and print services and high cost of out-sourcing independent contractors for design work, an unfilled gap exists for a professional, in-house marketing, branding and design group for all University of Illinois departments. To fill this void, &Group will serve as an economically sustainable design studio run for and by the University of Illinois. Our studio will capitalize on: The expansive range of disciplinary studies within the University of Illinois’ own campus. The abundance of students available to fill the work force & production staff. The agri-fiber paper lab funded by the Student Sustainability Committee and the Research Board. In additional to being an economically sustainable studio, &GROUP also recognizes the need for our work to have a positive impact on the University community and the health and wealth of the Champaign-Urbana community at large. Our team of experts will assist clients in identifying an approach that is environ- mentally, economically and socially responsible… everytime. 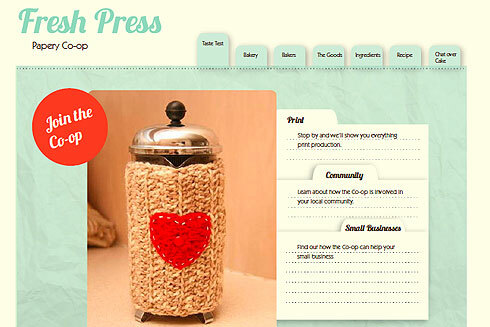 Fresh Press is an papery co-laboratory focused on sustainable paper making, design, production, and education. Our mission is to provide ethical design concentrated specifically on eco-friendly print materials and sustainable processes. Our mission as an interactive laboratory is to promote and educate the community, small businesses, and student endeavors about eco-production. We are a production press educating on sustainable printing production, and providing the best solutions to fulfill clients’ goals. The Fresh Press paper co-op values and promotes conscious consumerism through promoting an equal share partnership in which people can openly contribute. Our members, volunteers, suppliers, and employees all jointly own this enterprise and, therefore, have the ability to evolve the co-op collaboratively as they see fit. 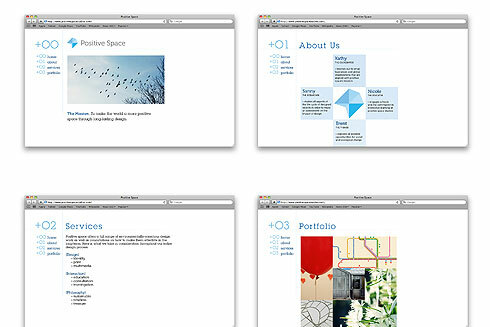 We are a design studio and consultancy that works with small non-profits. As a team, we want to use design to spark momentum for their causes. 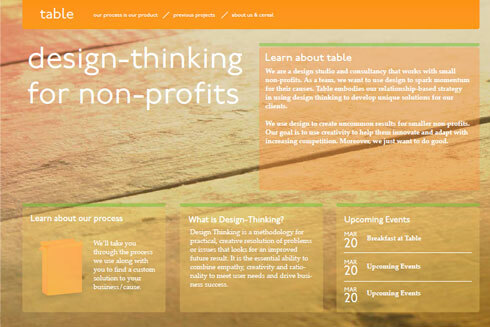 Table embodies our relationship-based strategy in using design thinking to develop unique solutions for our clients. We use design to create uncommon results for smaller non-profits. Our goal is to use creativity to help them innovate and adapt with increasing competition. Moreover, we just want to do good. We build close relationships with our clients over breakfast. We use this to develop an intimate understanding of their causes. We are cereal enthusiasts and our love for cereal drives our consultation process. In every client meeting, we pair each non-profit with a cereal “type”. This allows us to understand and improve their position in the market. 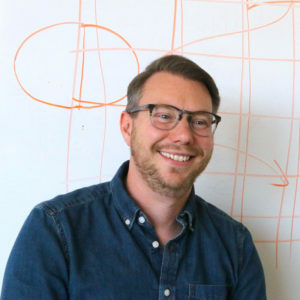 Our solutions are unique to each to each client’s needs because we assemble interdisciplinary teams that are specific to the project at hand. Research drives everything we do. It is the main way that we get deeper insight and create uncommon results. The Cereal Bar We are a group of cereal enthusiasts! We are using this to maintain a tightly-knit community in our studio. 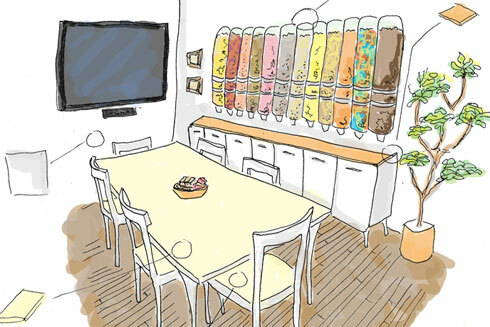 For us, “community” centers around our cereal bar, where we regularly meet to discuss design and new delights in cereal. Each one of us has a title that defines his or her role in the cereal bar. This is a fun and quirky feature of our studio; yet, it is also the key way that we create cohesive work. 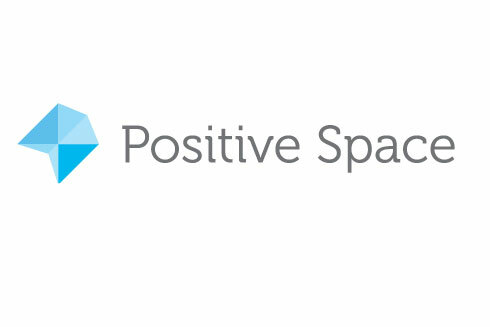 Positive Space is a design studio in Champaign, IL that offers unique and sustainable design solutions. We measure sustainability based on how long our design objects are able to live on and continue to be used. We want to make the future of this world a more positive and welcoming space for people to live in by reducing the impact of commercial design on the environment. We hope to develop a story behind every design, making each piece sentimental and longer-lasting; Designing for durability instead of designing for the dump, if you will. Positive space wants to establish a relationship of trust between the business and the consumer through non-ephemeral design. Positive Space also takes a role in reaching out and spreading the message about sustain- able design. In addition to print and digital media design work in our studios, a division of our company is dedicated to informing and educating clients, designers, and citizens alike on the importance and the impact of sustainable design. Positive Space plans on being a transparent company that openly publishes its explorations in agri-fiber paper production, renewable energy sources, and sustainable design alternatives. To make the world a more positive space through long lasting design. The class truly invested in this project despite facing obstacles they had limited experience working around: team-based exercises, writing business plans, and designing in a sustainable systems-based approach. The second project was a means to continue to build the comfort for the students that social entrepreneurship was a perfect match for the designer. The final project was designed to cement this notion with the students and allow them to work alone exploring their passions as a social entrepreneur.